LIDE was established by Author Holiday Reinhorn, Actor Rainn Wilson and Executive Director Dr. Kathryn Adams in response to the challenges faced by girls that were made visible in the aftermath of the 2010 earthquake. 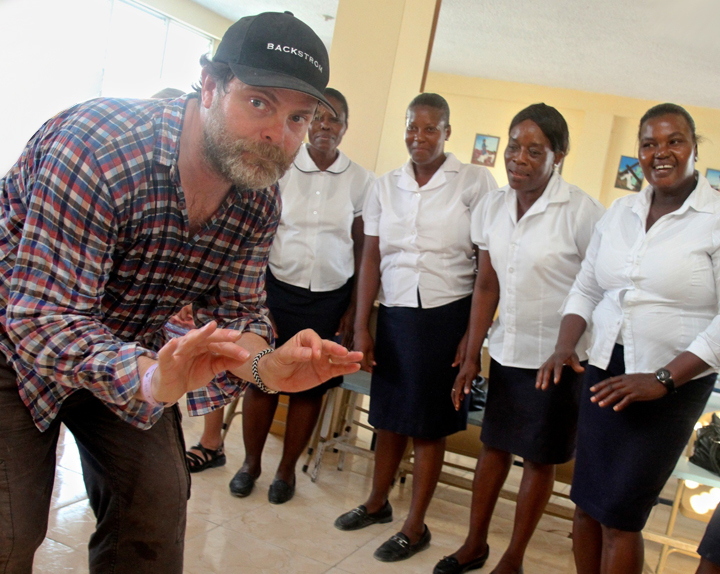 In 2007 Rainn Wilson became involved with the Mona Foundation, a non-profit organization which supports grassroots educational initiatives worldwide, and in 2014 he joined the board of directors. Along with a very successful career in acting (you may recognize him as Dwight from “The Office”, “Backstrom”, or from “Six Feet Under”.) Wilson has been very involved in working with youth through the arts. Rainn and his wife, Holiday Reinhorn are the founders of Lidè. Author Holiday Reinhorn visited Haiti for the first time in 2009 with the Mona Foundation and returned to facilitate a UN Foundation-funded program, Girls United, after the earthquake of 2010. She has been committed to serving grassroots educational initiatives in the most remote areas of Haiti ever since. Holiday is the author of BIG CATS: Stories from Free Press. Her fiction has been featured in numerous literary magazines and has been anthologized in THIS IS NOT CHICK LIT, THE WORST YEARS OF YOUR LIFE, and NAMING THE WORLD. A graduate of the Iowa Writers’ Workshop, she is the recipient of a Carl Djerassi Fiction Fellowship, The Tobias Wolff Award for Fiction and a PEN/Amazon.com Short Story Award, among others. Holiday has taught creative writing at The University of Wisconsin at Madison, The University of Iowa and The UCLA Writers’ Extension Program. A specialist in the psychology of teaching and learning, and Education in Emergencies, Dr. Adams has worked in crisis and conflict zones worldwide. Prior to directing LIDÈ, Dr. Adams was a tenured professor at Moorpark College, and also taught educational psychology in the counseling and education graduate programs at California Lutheran University. Dr. Adams has worked as a therapist with children in foster care, counseled children in elementary school settings, directed an academic support center, and facilitated therapeutic writing groups for veterans and for survivors of sexual trauma. 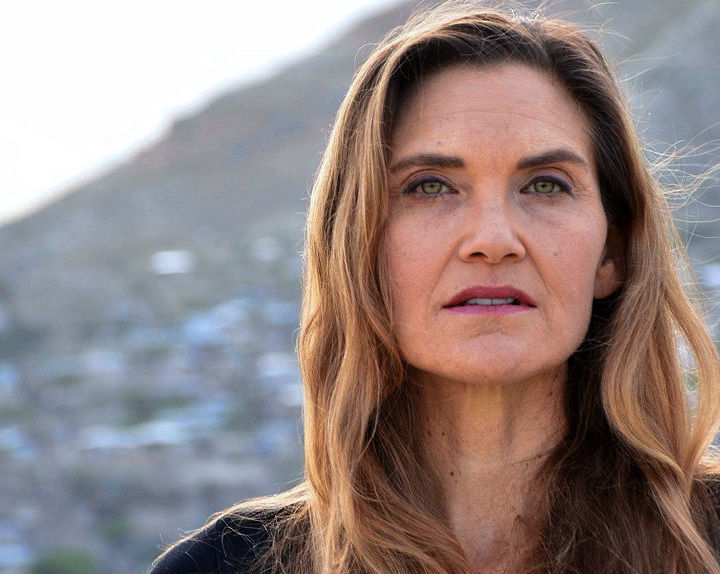 She is on the advisory board of the Mona Foundation, has served as a member of an international working group for Global Citizenship Education, is a founding team member of HST (Health Support Team), and co-created a video training series on the effects of trauma on learning which is reaching teachers in post-disaster regions and in conflict zones. In 2011, she coordinated and co-facilitated Girls United: Haiti, the project that would lead to the formation of LIDÈ. Kathryn Janene Adams holds a M.A. in Writing, a M.A. in Clinical Psychology, and a Doctorate in Education.